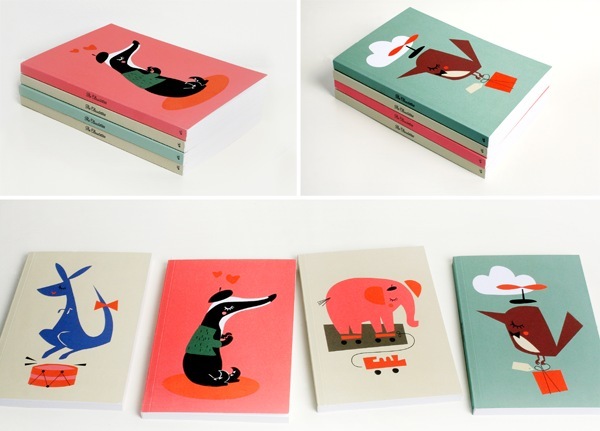 My daughter loves her cute notebooks, quirky character notepads, thick drawing paper and screen-printed cards. I wouldn’t be surprised if her stash of stationery contained well over twenty different items. Of course, this is completely my fault as I’m the buying culprit. However, I say it’s time to stop the paper madness! That’s going to be difficult with the range of paper goods on offer (and tantalising me from the computer screen) from Norwegian design duo Darling Clementine. I first discovered their lovely little shop on Etsy and fell head over heels in love with their design aesthetic. 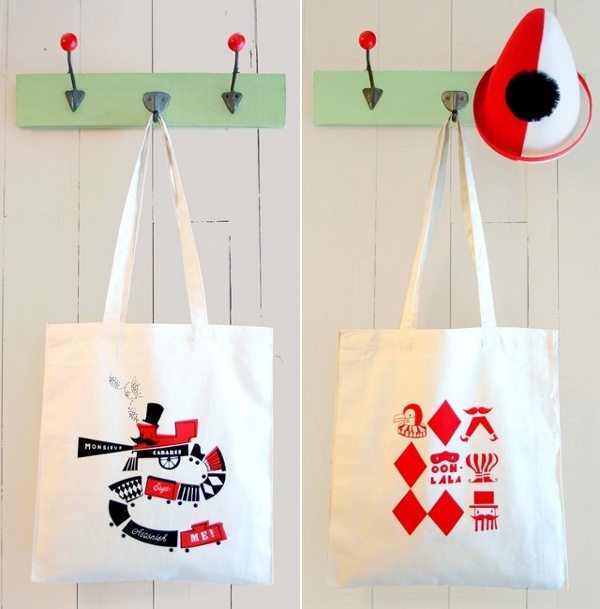 It’s all a little retro with some whimsy, humour and design prowess thrown in for good measure. 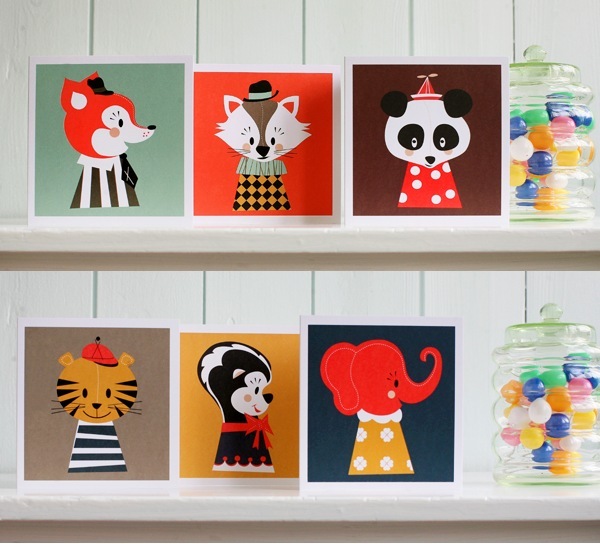 And they’ve got some paper goods that will have the kiddies jumping for joy. Ingrid Reithaug and Tonje Holand are the women behind Darling Clementine and in their own words are inspired by “everything – from the costumes in Hercule Poirot to old Czech animation, Bauhaus, flea markets in October, vintage table wear, contemporary fashion, camping and things made out of felt.” Check out their stunning pictures here and buy their ‘Claudettes’ notebooks (top) and ‘Marionette’ cards (above) – perfect for your own little stationery hoarder – or gorgeous canvas bags here. Prices range from US$12-US$25 plus postage.